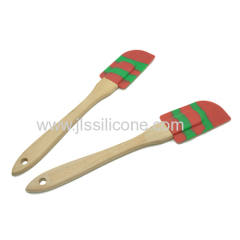 Silicone Spatula is Kitchen accessory This type of Silicone Saptula is works very well with large and deep frying pans, silicone spatula is safety around other cookware. Unlike metal spatulas, silicone will not damage Teflon® or other non-stick coatings. 1. LFGB/FDA Food Grade Silicone and nylon material. 2. OEM & ODM Factory for around eight years. 3. Tasteless, non-toxic, anti-dust, non-stick. 2. for mixing,spreading, scraping, etc. 3. non toxic, food contact safe. 2. for mixing, folding, scraping, etc. 4. bright colors is okay. 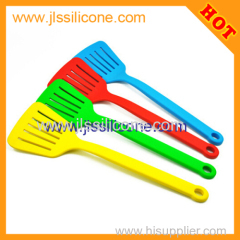 Group of Silicone Spatula has been presented above, want more	Silicone Spatula and spatula silcone silicone spatulas food equipmnet spatula , Please Contact Us.